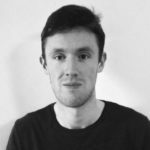 In previous years, the WWE have come out of Wrestlemania with all the momentum in the world, only to somehow manage to blow it before the next pay per view comes around. 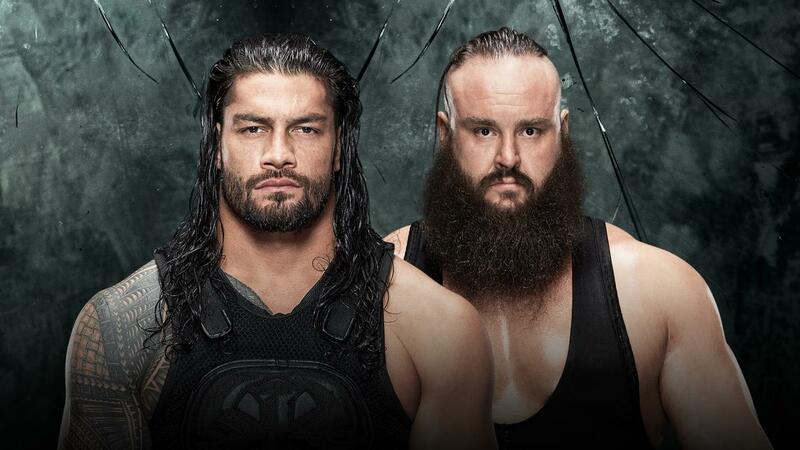 Thankfully, that’s not to be the case this year as they’ve managed to keep people’s interests going into Payback, this Sunday, and this is in no small part to the momentum that Braun Strowman currently has after his destruction of Roman Reigns. This, combined with the media grabbing stunts the WWE have had Strowman pulling off over the past few weeks, means this year’s Payback is one of the most anticipated post-Mania Pay Per Views of recent memory. Unfortunately for Lesnar fans, “The Beast” won’t be defending his Universal Championship at Payback, however there are eight matches taking place at the SAP Centre in San Jose, California that WWE will be hoping will make Payback an event that’s not to be missed. Speaking of momentum, while the WWE did a good job of building momentum for the tag team title match at Wrestlemania and two of the teams coming out of that match have kept their momentum going (we’ll get to them), the other two teams involved in the match at Mania currently have very little momentum and this has resulted in them having a match on the pre-show for themselves. 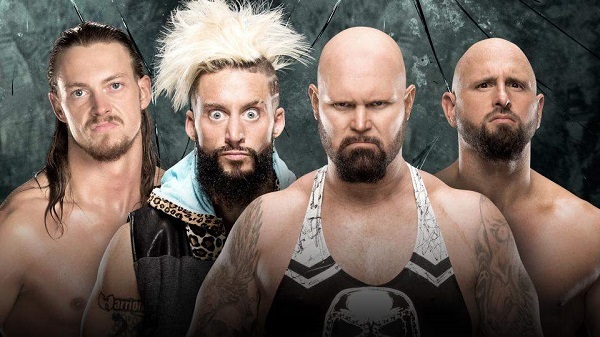 This time last year, a match between Enzo & Cass and Gallows & Anderson would have excited most fans, however seeing as we have seen this match or a variation of it every second week for nearly a year, there is very little interest in it. WWE are using their own tried and tested formula of just throwing two tag teams out there for the sake of having them on the card and hoping for the best. You can expect to see Enzo get beat down by Gallows & Anderson for the majority of the match and then tag in Big Cass who will pick up the win for his team. Unless there is significant character change for either team, expect to see this match again very soon. Neville is so good as a heel, like I mean really good. He’s everything you want in a heel champion. He’s cocky, arrogant and egotistical and looks down his nose at everyone. Neville faces off against the man he beat at Wrestlemania in Austin Aries. If they are given enough time and can show off what a true Cruiserweight match should look like, we could be in for a belter. The intriguing thing about this match is the expected attendance at ringside of TJ Perkins in Neville’s corner and Jack Gallagher in Aries’ corner. While both superstars have been all smiles with their fellow superstar, I can see either Perkins or Gallagher costing their guy the match and opening up new feuds for the respective cruiserweights. While Seth Rollins got arguably the biggest win of his career at Wrestlemania when he defeated The Cerebral Assassin, Triple H, he’s now gone onto feuding with The Game’s new lapdog, Samoa Joe. Surely Rollins should be moving on from all things Triple H and finding something new. While Joe has been on the main roster for nearly three months now, he hasn’t set the world alight and it seems like he is only a placeholder until Triple H returns. This feud has really lacked a spark to get it going and it may just fade out this Sunday. Luckily, the WWE have two of their very best in-ring workers on show and they might just be able to pull it out of the bag and with Rollins recently adapting a new finishing move, expect that to play a crucial role in the outcome of Sunday’s match. Thanks to the Superstar Shake Up, we now have a host of new faces on RAW. One of those is the wrestler who since the initial WWE Draft, back in July last year, was one of the most consistent performers on Smackdown. Since moving to RAW she has continued on in the same vein, and that wrestler is Alexa Bliss. Little Miss Bliss has been on fire since moving to the red brand and her promo on Bayley this week on Raw was masterful in delivery and crowd control. Bayley is just going to be popular no matter where she goes, and you can expect her to receive a massive ovation in her hometown of San Jose this Sunday. As Payback is going to be in Bayley’s hometown, I expect to see her lose her title to Alexa after Bayley’s best friend Sasha Banks turns on her costing her the title. This has been teased very subtly over the past several weeks and will finally come to fruition this Sunday. The Hardy’s are back and all is right with the world again. When Matt and Jeff returned to one of the biggest reactions in Wrestlemania history in Orlando a few weeks ago, nobody knew if they would remain as the characters that got them back to the Promised Land of WWE or if they would revert to the original Hardy Boyz gimmick. The answer is a bit of both, as Matt and Jeff have been reverting to both their famous gimmicks in the BROKEN characters and The Hardy Boyz on Raw since. Their feud with Cesaro and Sheamus has developed steadily since Mania and looks set to be finally coming to a head this Sunday. Respect has been at the forefront of this feud since its beginning and as seen on Raw this past Monday, Cesaro and Sheamus seem to be playing some sort of game with The Hardy’s as they congratulated them on their cheap win on Monday to the bewilderment of Matt and Jeff. You can expect a fun match with lots of high spots from the athletic Jeff and Cesaro. There seems to be no need to stall the wave of momentum that The Hardy’s are currently on, so expect them to pick up the victory. Maybe a post match assault from Cesaro and Sheamus will help this feud carry on for a while yet. Ok… so firstly what the hell is a House of Horrors match? Anybody have an answer, no? OK then. To the best of my knowledge, this match on Sunday, which is not a rematch for the WWE Championship, will start somewhere (who knows) and will finish in the ring. Do you have to get your opponent to the ring, is it whoever gets to the ring first wins? I don’t know and nobody seems to know, but that just adds to the intrigue. Why are Orton and Wyatt facing off in this type of match you ask? Well, it’s simple really. Randy burned down Bray’s compound which contained the ashes of his Sister Abigail and then beat him for the WWE title at Wrestlemania. God, I love wrestling! Believe it or not, Randy is the good guy in this feud after committing arson and desecrating the remains of a person, again I love wrestling. Expect a hard hitting match with lots of tricks and of course horror. Bray should pick up the victory here as this match is his creation and will put an end to his feud with Randy once and for all, allowing both men to move onto new feuds. While the feud between Jericho and Owens was one of the best going into Mania, it has suffered in the post Mania wilderness. Again the Superstar Shake-Down/Up, who knows anymore, has played havoc with feuds and this one in particular has suffered as Kevin Owens is now on Smackdown and Jericho is over on Raw. While both wrestlers are able to carry a feud single-handedly, the steam really has gone out of this one I’m sorry to say. As this could be the last meeting between these two men for quite a long time, expect them to give it absolutely everything as they try and top their match at Mania this year. With Jericho going on the road with his band Fozzy over the summer months, expect him to lose this match to the Prizefighter, Owens. Jericho will return to WWE someday, but for now this is his swansong after arguably the greatest run of his career. Remember earlier when I was talking about momentum, well WWE have certainly given momentum to one of the men in this match and amazingly it’s not the man who ended The Undertaker’s career at Wrestlemania a few weeks ago. Roman Reigns should be the biggest heel in wrestling right now, but due to stubbornness on the WWE’s part, he has remained a baby face. Well that hasn’t gone according to plan as the crowd have begun cheering for Roman’s opponent, Braun Strowman. Braun has become a de-facto face even though he tipped over an ambulance with Roman inside, made the ring collapse with the Big Show and threw a dumpster off the Raw stage with Kalisto inside (again I love wrestling). Braun has all the momentum in the world right now and WWE could be on the verge of creating a new star. However, due to Vince McMahon’s fascination with Roman Reigns we should be expecting a Reigns victory on Sunday. Roman will probably enter into a feud with the returning Brock Lesnar over the next few months, while Braun will have to find room in that dumpster with Kalisto as WWE don’t seem to know when they’ve got a sure thing or a bag of trash. So there you have it. A fine tooth comb taken to yet another WWE Pay Per View. Be sure to watch this space for our preview of WWE Backlash, which takes place on May 21st. Until next time, keep it On The Mat!